This reliable air purifier features multi-stage air purifying technologies that works harmoniously together to clean, purify and re-energize the indoor air. The washable and reusable two-stage electronic cell captures particles dust, pollen, mold and many other pollutants in the air. The activated carbon filter eliminates many household odors. The UV-photo catalytic system destroys microorganisms and eliminates chemical odors. The negative ion generator releases high concentration level of negative ions to make the purified air fresh and combat fatigue. 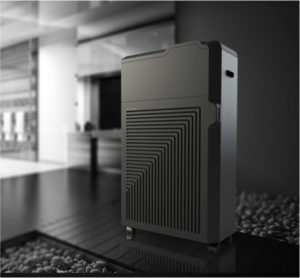 The unique fashionable design of the product is so impressed by customers that they call it a “futuristic air purifier”. 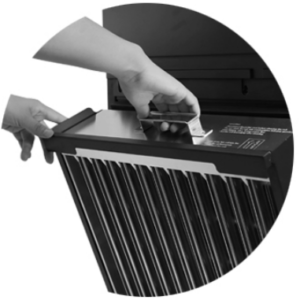 The unit has an advanced ‘cell clean dry’ function that it guarantees the washed cell to be thoroughly dried before powering. The unit features a “2 in 1” filter cabinet in which the activated carbon filter and electronic cell are housed. It is very simple to replace or wash the filter, owing to this unique structure. The electronic cell successfully captures tiny particles down to 0.3 microns. The cell is washable and reusable to save the maintenance cost of the air purifier. 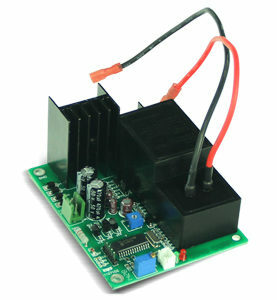 This unit equips with a smart high voltage generator so that the CHECK indicator light will beep and flash if the electronic cell-power supply system encounters a problem. 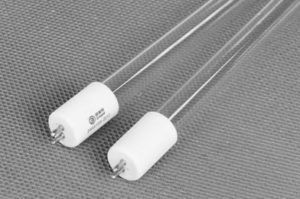 The unit has increased the ultraviolet ray intensity by adding another UV bulb comparing with older models and enhances the capability to kill the microorganisms and decompose of chemical compounds by the UV-photo catalytic system. Electrostatic precipitators or ESPs ( Electronic cell) can collect particles size range 0.1 to 10 microns very efficiently. 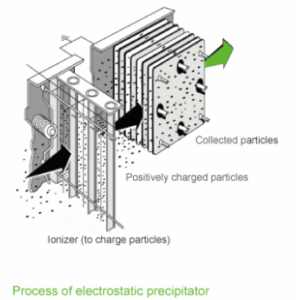 Electrostatic precipitators take advantage of the electrical principle that opposites attract. The two-stage electrostatic precipitators include two parts: the charging and the collecting parts. In the charging part, the incoming particulates pass by ionizer wires which passed on a positive electrical charge to these contaminants. The positively charged contaminants are then drawn through the collection part which contains a secondary electrical field with negatively charged aluminum plates. Since opposite charges attract, the positively charged contaminants collect on the negatively charged aluminum plates, removing them from the air stream-— similar to how a powerful magnet works. Electrostatic precipitators offer benefits over other air purification technologies such as HEPA filtration which requires expensive filters and it can become a “production bed” for many harmful forms of bacteria. 1. The washable metal mesh pre-filter captures large particles to give the other filters a longer filter life. 2. The electronic cell discloses a negative charge to particles that pass through the unit and collects them on opposite charged metal plates. The electronic cell can capture particles down to a size of 0.01 micron. It is easy to clean and need low maintenance. 3. The activated carbon filter locks in chemicals and odors. It will continue working for many months before need to replace. 4. UV-C light can destroy airborne microorganisms such as bacteria, mold, and viruses. 5. Photo catalyst can effectively reduce odors and restrain the activity of microorganisms. The use of photo catalyst is permanent and not need replacement. 6. The negative ion generator releases the high concentration level of negative ions to make the air more pure and fresh.